At first glance, these two navigation patterns seem very similar, but there are a few points that give table views* a huge leg up. When dealing with a multi-tiered hierarchy or a variable amount of navigation items – such as text messages, emails, folksonomic categories, folders, files, etc. – table views can be a great solution. 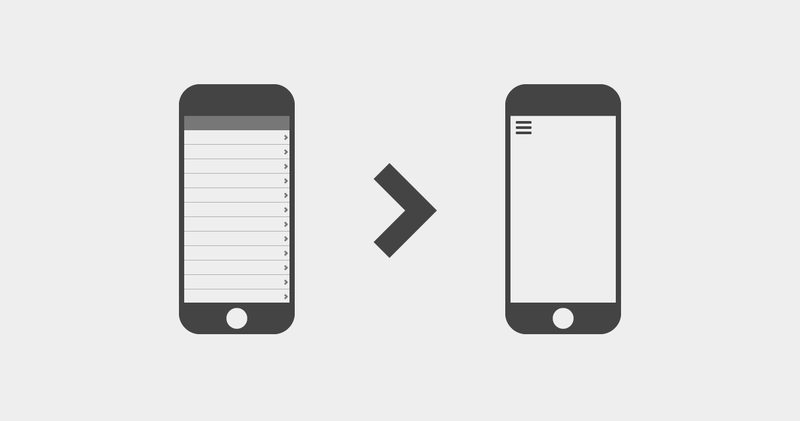 Lists are generally easier to scan than tiles, and vertical scrolling is an easy interaction for touchscreen mobile devices. 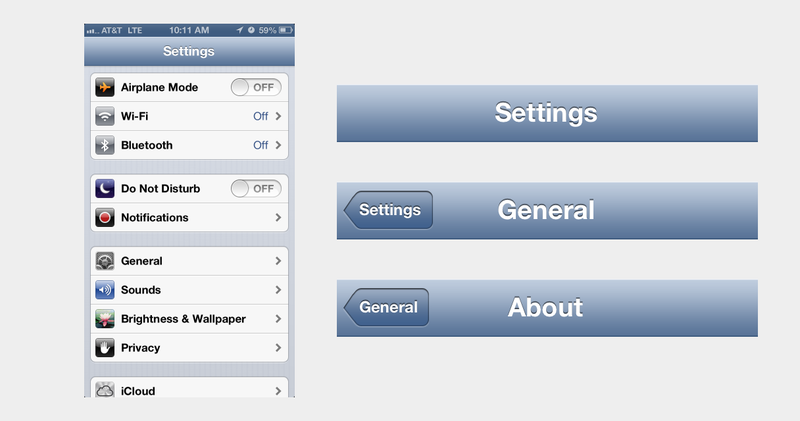 Users are likely familiar with this pattern, since it's widely used across iOS. With table views, the user sees the top level, bird's-eye view of the hierarchy without requiring any interaction. As the user drills farther down the hierarchy, the navigation bar continues to look and work the same way, creating continuity in the UI. The navigation bar, along with properly labeled back buttons, works as a myopic breadcrumb, showing the user's current location and giving context to what the next level up in the hierarchy is. A hamburger button gives no context. 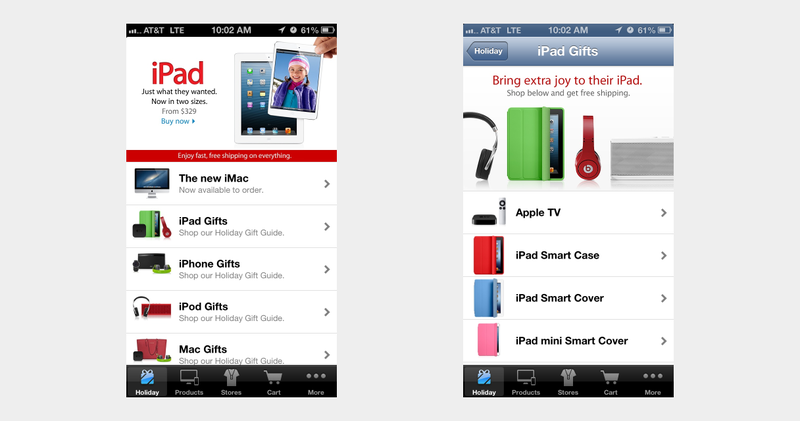 This pattern can work seamlessly with contextual navigation. Twitter's profile view is a perfect example of this. Table views can be effectively combined with tab bars, bringing the advantages of persistent navigation to a complex IA. The back button is in a hard-to-reach location, but when combined with a tab bar, the tab bar button can act as an easy-to-reach shortcut to the top-level. 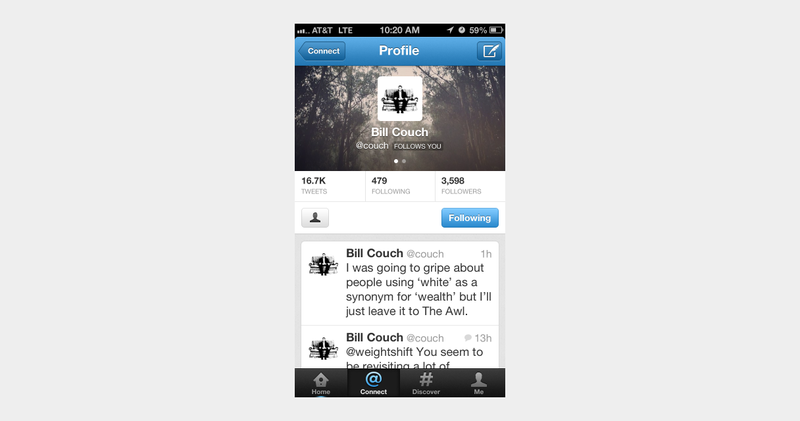 One advantage that the left nav flyout pattern generally has over table views is the swipe-to-reveal gesture shortcut. For table views, this gesture could be used as a shortcut for the back button – much like Loren Brichter's original Twitter for iPad – and navigation is probably a more common action than deleting items with the swipe-to-delete gesture. Some may argue that the modal nature of left nav flyouts is well-suited for use as filtering controls for large collections. But, to use the Apple Store app as an example again, table views can be a very efficient way to filter through large collections of information. If your product has a complex IA that can't neatly fit into a tab bar, consider the advantages that table views can provide before jumping on the left nav flyout bandwagon. *Note: For lack of a better term, table views refers to the one-window drilldown pattern that combines lists and navigation bars and is widely used in iOS.